You must have heard about the SmartScope, the little box that liberated Measuring Man from the wall outlet. Since it became available, anyone can take his scope on the road: a single cable turns a tablet, a laptop or a smartphone into an oscilloscope. Despite its colour, it ain't no black box. By giving full access to the software framework of the SmartScope, a whole new dimension of possibilities is opening up. 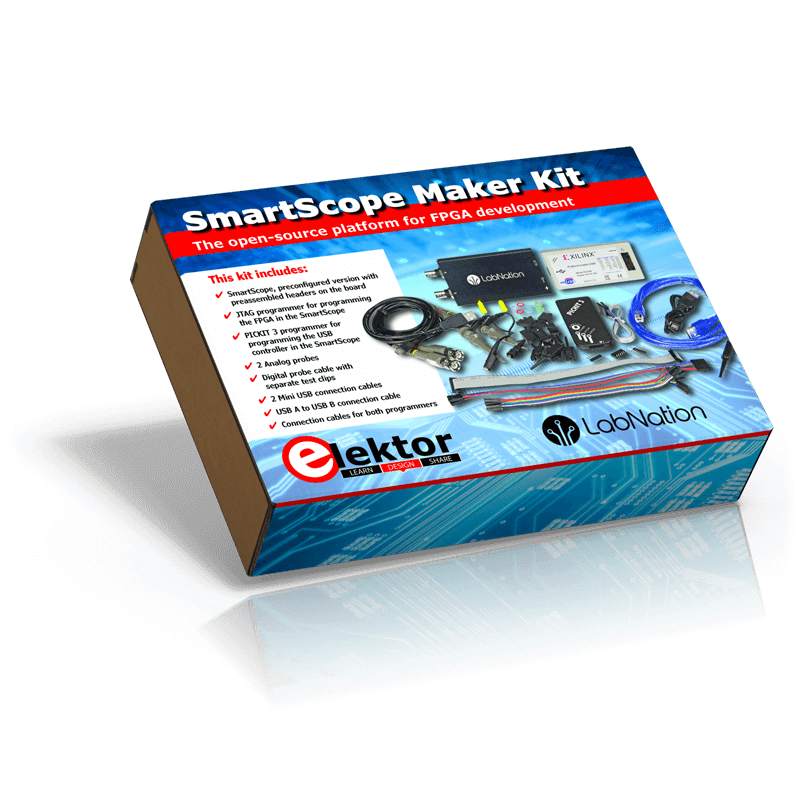 The SmartScope is probably the only and surely the first USB scope in the world that runs on all major platforms: Windows, OS X, Linux, Android and iOS (with WiFi bridge). 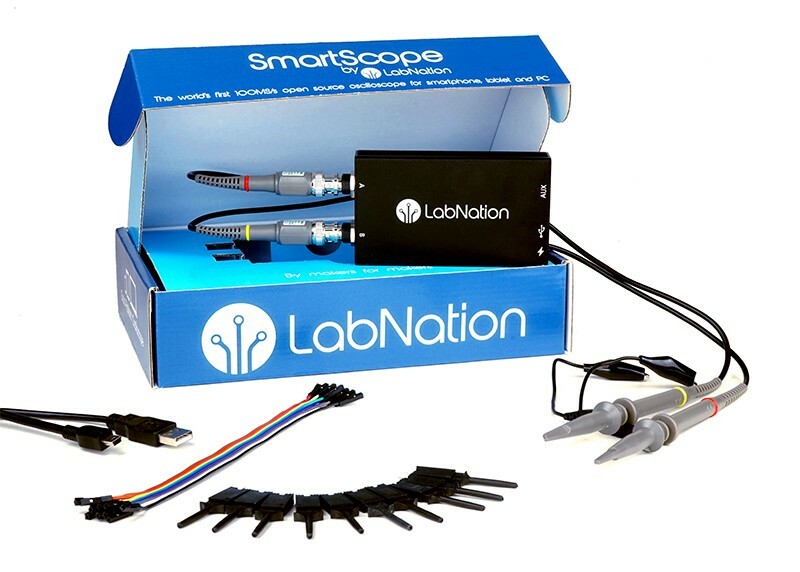 You can connect the SmartScope to pretty much any device! Great little scope; great little price! As John, a happy backer puts it on Kickstarter: "Innovative! 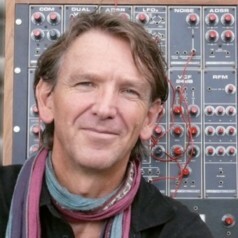 I am retired and had a history in development using high-end analogue scopes. I wanted something small that ran on multiple platforms. Right now it is running on a separate monitor on my desktop PC and the software development tools on another monitor. It also runs well on my Galaxy tablet. Screens are identical, one uses fingers the other the mouse. Measurements are easy and accurate. You just need to give yourself some time to become acquainted with its knobless concept." Someone else confirms: "Great little scope; great little price. I love the portability. 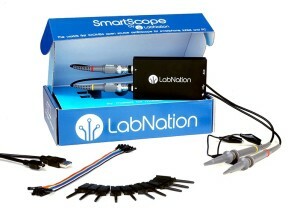 The specs and portability make it a great tool for automotive use. It goes with me on the road along with all my other fly-away-kit parts and tools. I love the fact that I can use this with my iPhone, my iPad, my Mac or my PC."